There is a recurring trend around the Indian ODI team these days and it played out its latest episode at the Sydney Cricket Ground on Saturday. India's top-order went in a jiffy, so did their fortunes of chasing down the target even as Rohit Sharma dazzled with yet another imperious ODI ton [4th against Australia in Australia]- the fragilities of the middle-order and its over-reliance on their famed top-3- Rohit Sharma, Virat Kohli, and Shikhar Dhawan. Despite all their successes in white-ball cricket in the past two years, India's victories have largely been set-up by their top-3. In fact, since that start of 2013, the trio of Dhawan, Rohit, and Shikhar have collectively scored 60 centuries between them out of the 75 that the team has racked up in totality. This data in itself tells a compelling story. Rewind to last year's Asia Cup. The duo of Rohit and Shikhar had taken India sailing past the target of 239 set by Pakistan with a 210-run opening stand. The very next game against Afghanistan and the final against Bangladesh saw the Men in Blue being set 252 and 222 to win. The former ended in a tie while the final saw them scrap their way to the target with just one wicket in hand which reiterates time and again that Inda's 4-7 are not yet finishing games for their side when the top-3 go cheaply. When Virat Kohli flicked straight to square-leg at Sydney opportunity galore for the likes of Rayudu, Dhoni and Dinesh Karthik to take the run-chase by the scruff of its neck. Out of the 15 hundreds that the other Indian batsman have stroked since 2013, Rayudu has three to his name; two of which came more before the 2015 World Cup. In his return to the Indian side last year, Rayudu has scored 392 runs in 12 games at an average of 49 which includes one ton and three fifties. While the numbers look impressive, if we dig deep, the Andhra batsman has not ben close out a run-chase for his side. In the three run-chases where India have struggled- twice in the Asia Cup and once against the Windies and most recently at the Sydney Cricket Ground, Rayudu's scores read- 2 [vs Bangladesh], 22 [vs Windies] and 0 [vs Australia]. Captain Virat Kohli reckoned at the end of Windies series that Rayudu is the perfect foil for the No.4 spot leading into the 2019 World Cup but the remaining two ODIs against Australia and the five in New Zealand will be critical for the right-hander. Rohit Sharma reckoned in the press-conference yesterday on the number that MS Dhoni should bat in the press-conference that 'Personally, I'd like him to bat at No.4'. While that is unlikely to happen, given the captain's backing for Ambati Rayudu, but it is evident that Dhoni's hitting abilities are on the vain in the past two years and he requires a substantial amount of time to get himself going at the crease. Dhoni has been receiving a lot of flak for his 96-ball-51 at the SCG but a closer analysis as per Cricviz data reveals, while Dhoni played 32 percent attacking shots in the match where an average stroked 34 percent; he wasn't attacking significantly less than others but was unable to execute it with precision. In fact, this has been a story for Dhoni in the past two years. While in 2013, his attacking shots scored at 11.04 rpo which has significantly lowered to 7.43 in 2018, underlining his ability to execute high-risk shots has diminished alarmingly. While India still needs the experience and wicket-keeping abilities of Dhoni for the World Cup, they also need a power-packed batter in their middle-order whose game is more aligned to the demands of 2019 white-ball cricket. In short, India needs the panache of Rishabh Pant. The vibrant 21-year-old has shown enough signs of reinventing his game as per the situation, as he did in the recently concluded Test series. Dinesh Karthik, for his all shenanigans in the T20 format, has not made the most of his chances in One-day cricket. Since his return to the 50-over format last year, Karthik is yet to score a fifty in eight games and has often failed to close out games in England, Asia Cup and most recently at the SCG. 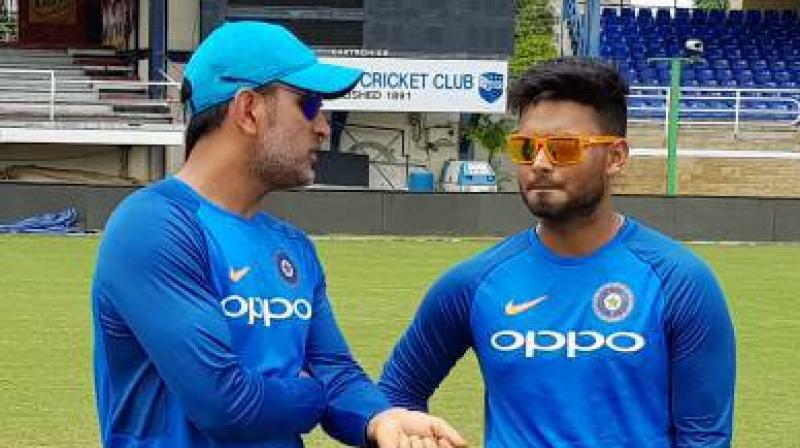 The next two ODIs and the series against New Zealand will be crucial for Karthik, for any further blip, might see Pant knocking the door down in the home series against the Australians. That said, India needs a firing middle-order to back up their top-3 and it might not be a bad thing if the top-order underperforms in the coming games, for it will give India a clear picture of where their number 4-7 batsmen stand rather than encountering it at a crucial juncture of the 2019 World Cup, as they'd experienced in the 2017 Champions Trophy final.